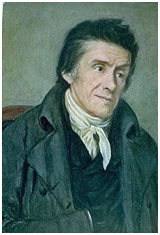 Johann Heinrich Pestalozzi, born in Zurich, Switzerland on January 12, 1746, has often been considered the Father of Modern Education. In recognition of his efforts to enhance education, champion the needs of the underprivileged, honor the individual, and give dedicated service to humanity, the Pestalozzi Awards were established in 1966 to pay tribute to College scholars who exemplified these characteristics. Humble of the unhumbled. . .
Rekindler of the spark of life. . . He restored respect and worthiness of men.